Quentin Tarantino is a self-confessed film lover who happily boasts that he never went to film school, he went to film. Since being smuggled behind the walls of the studio system as a scriptwriter and the evolution to director, Tarantino has been making films for cinephiles while trying to win over audiences by laying down everything he loves about the medium on celluloid. ‘Django Unchained’ may be his greatest gift and culmination of his refined talents as a rebellious filmmaker. Set before the American Civil War, a bounty hunter/dentist, Dr. King Schultz (Christoph Waltz), buys the freedom of a slave, Django (Jamie Foxx), and trains him with the intent to make him his deputy bounty hunter. The duo team up to track down criminals with Django hoping to find his wife (Kerry Washington) who has been sold off to a plantation owner. ‘Django Unchained’ is a cocktail of fairytale lore, blaxpolitation films and westerns of all varieties. Two men ride valiantly cross country on horseback to save a dame from an evil overlord whilst Tarantino exposes the ugly side of American history and pokes at it like an exposed festering wound. America amidst slavery in ‘Django Unchained’ is repulsive and many of the characters actions reflect this. Tarantino mocks the backward thinking of the time with the pompous way the white character’s think they are divine creatures above the slave population. None of this witlessness goes unpunished and Tarantino makes sure that the ignorant are disposed in violent ways. Django acts as a force for retribution and a symbol of change that’s potent considering the film is set before the civil war. Schultz tutors Django in the legal intricacies of the business of killing. The work is bloody but it’s the knowledge that Schultz instills in Django that proves to be the most important tool he needs to survive. The conversations between Django and Schultz showcase Tarantino’s scripting and there’s an insightful contrast of similarities between slavery and bounty hunting as a trade in flesh with equally complicated moral grey areas. Tarantino and cinematographer Robert Richardson captures the crisp snowcapped mountains and warm sunsets that evoke the western magic of filmmakers such Sergio Leone, John Ford and John Sturges. It’s a fitting tribute that further wraps the film in the nostalgia of spaghetti westerns and gunslingers of yesteryear. The music echoes the film’s genre mash-up style. Songs by James Brown featuring 2pac, the country twang of Jim Croce, the smooth tones of John Legend and the gangster rap of Rick Ross pair seamlessly with the work of Ennio Morricone’s score and a terrific main theme from Luis Bacalov and Rocky Roberts. Tarantino knows how to combine a song of any era into a film and make it work with explosive results. Foxx carries a pain in his eyes throughout his performance and its excellent seeing that rage channeled into retribution. The journey from the wounded slave to the man in charge of his destiny is a great character arc and every moment it feels like Foxx is evolving with the character. Foxx essentially keeps the film on the right path amidst a lot of exuberant performances. Although Foxx portrays his character as a man hardened by his environment, his yearning to be reunited with his wife shows a gentle side. The presence of Washington’s haunting beauty glimpsed in visions on the journey to her rescue allows Foxx to show his character is driven by the heart and not the gun. Waltz channels a little Alec ‘Obi Wan’ Guinness as Django’s mentor. Waltz carries himself with an esteemed intellect that he uses to outwit the outlaws he is pursuing. Throughout the film Schultz is cold towards the act of taking a life, but it’s the injustice of the slaves that pushes him to breaking point. Witnessing the savage injustice of the slaves grinds the man down and Waltz does an excellent job of maintaining that cool until he bursts. Leonardo DiCaprio is vivacious playing a wealthy plantation owner, Calvin Candie, who appears to be an indulgent socialite but there is a burning rage of ignorance inside that makes way for a frightening evil streak. DiCaprio crafts a truly great villain to be added to the hall of wicked fame. Samuel L. Jackson is excellent playing Candie’s servant, Stephen, who subtly becomes the real nemesis to Django. Stephen is a complex character because of the way he has chosen to survive by ignoring the atrocious things that happen to Candie’s slaves, that includes people being thrown naked in a metal coffin in the ground called the “hot box”. Stephen is a coward but Jackson gives the character an edge that shows the dark path Stephen has chosen to live. There is intensity in Jackson’s glare as Stephen is enraged by Django, whose choices are at odds with the way Stephen has slithered to stay alive. Further strengthening ‘Django Unchained’ is the nice touches in the supporting cast that includes a list of outlaws and nasty rich slave owners played by Walton Goggins, James Remar, M.C Gainey, Don Johnson and Bruce Dern. Jonah Hill makes a hilarious appearance in a scene that bought this reviewer to tears of laughter mocking the stupidity of a hooded gang that resembles the Klu Klux Clan. There are also lots of surprise cameos from Tarantino favorites like Zoe Bell as well as a few familiar faces from old westerns. 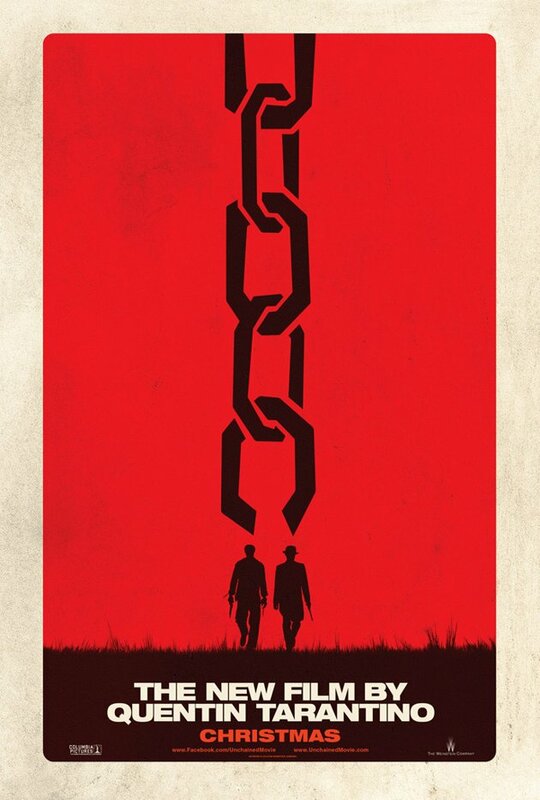 A tale of empowerment that packs one hell of a cinematic punch, ‘Django Unchained’ is Tarantino’s epic masterpiece. I totally agree with you. I’ve seen it. All that I’ve heard was the issue over the N word. I think the message was lost b/c it would have to make African Americans, (including myself) come to terms that the only binds we have are what we put on ourselves and what we ALLOW media to place us in. We’re on the horse now, so no more excuses! Thanks so much for checking out the review Tracie and taking the time to leave a comment. Glad you enjoyed the film. Very nice review man. I’ve Another 6 days to wait till it’s released in Scotland but I can’t wait.